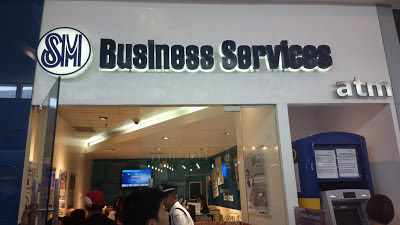 For those who have not discovered how convenient it is to pay bills and other financial obligations, visit the nearest SM Business Services at an SM mall near you! This center can be easily spotted through the signage on top of the office door. In some SM malls, it’s situated close to the hypermarket or department store area. Services offered include bills payment acceptance, e-government services, and foreign currency monetary exchange. BDO remit is also included. Paying bills have never been easier. Major bills are accepted for payment processing including utilities such as water and electricity (both national and even those in your local region, city, or town), credit cards, postpaid phone, Internet, cable TV, insurance, and so on. For a complete list of bills accepted, please refer to a nearby center at a local SM mall. Herewith include processing of NSO (National Statistics Office) documents such as birth certificate, death certificate, CENOMAR (non-marriage record), and other documents available at the Philippine civil registry office. Documents requested are normally released after two weeks. You can also pay your contributions for your memberships at SSS (Social Security System), PhilHealth, and Pag-ibig. I only got to try this service recently and paid for the first quarter of voluntary SSS contributions this year and loan payment for a 2011 loan payable until 2015 under the SSS Loan Condonation Program. Unfortunately, only the current month’s payment can be accepted for payment of loans. If you wish to pay for a quarter or longer, it can only be done through an actual SSS office. Monetary currencies can also be exchanged. 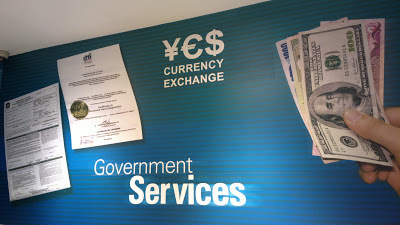 You may need to visit an actual SM business center for a list of currencies available for this service. This is BDO’s (Banco de Oro) own remittance service. 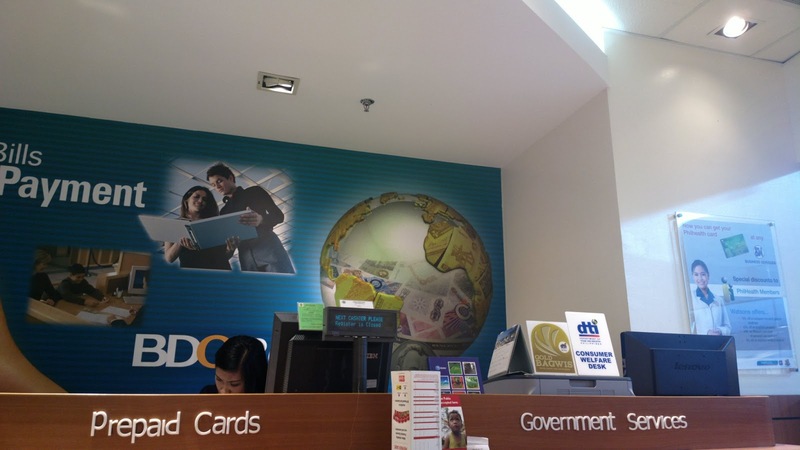 BDO is affiliated with the SM Group of Companies along with China Bank. 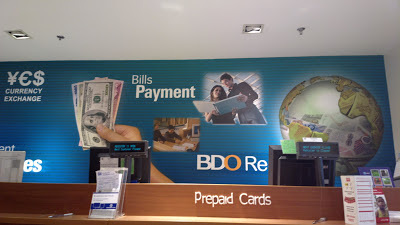 Thus, you will notice that most SM malls have BDO branches inside. 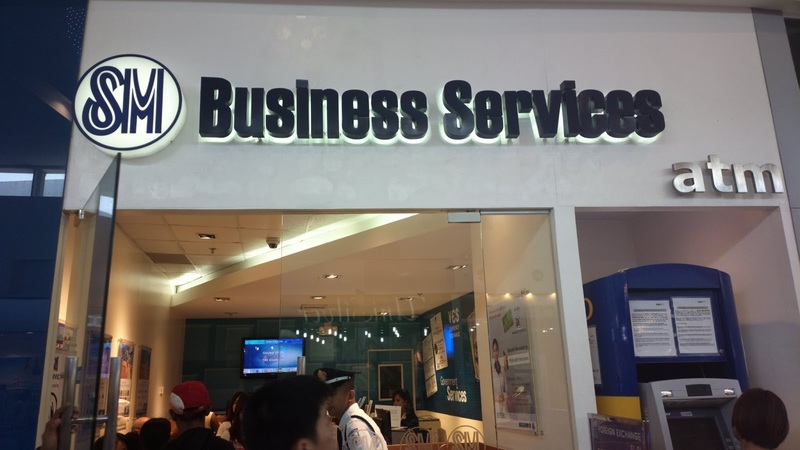 With SM Business Services centers located at SM malls all over the country, paying bills, contributions, processing government documents, and transacting for BDO remit and ForEx have never been more convenient!